PRESCRIPTION DRUG TAKE BACK SEPTEMBER 29TH. The Geauga County Sheriff’s Office has scheduled another Prescription Drug Take-Back Day which will take place on Saturday, September 29, 2012; from 10:00 a.m. to 2:00 p.m. Deputies will be on hand to assist those turning in medications for disposal. This is a great opportunity for those who missed the previous events, or who have subsequently accumulated unwanted, unused prescription drugs, to safely dispose of those medications. Before dropping off unwanted medications residents should remove or black out their personal information. Medications should be left in their original container. This would be the opportunity to drop off liquid medications and syringes that are not usually collected in the drop boxes located at the Sheriff’s Office. The Geauga County Sheriff’s Office maintains secured drop off boxes located in the lobby of the Sheriff’s Office for the disposal of unwanted medication. There are no forms to fill out or information to provide to use the drop off boxes. The boxes are located in the lobby which is open 24 hours a day, seven days a week. 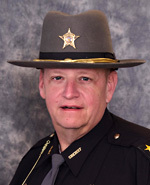 Sheriff Dan McClelland announced that the Traffic Safety Office, part of the Ohio Department of Public Safety has awarded $44,702.10 in federal traffic safety funding to the Sheriff’s Office for use during federal fiscal year 2013. The funds will pay for extra patrols on county roads. “These funds are critical to ensure that we are doing everything possible to reduce traffic fatalities,” said Sheriff Dan McClelland. Based on crash data, the Sheriff’s Office and their partners at the state level have identified speed, impaired driving, and seat belt use as priority areas for enforcement in Geauga County. Crash data shows that during 2009 through 2011, Geauga County had 23 fatal crashes and 1,570 crashes that resulted in injuries. During 2010 alone, the county had nine fatal crashes. To reduce these tragic statistics, the Sheriff’s Office will be conducting high visibility enforcement, working extra hours and conducting education events on traffic safety. The office will be using extra patrols on roads identified as problem areas with emphasis on major thoroughfares. There were 941 fatalities on Ohio’s roads in 2011, down from 984 in 2010. The Sheriff’s Office will work diligently to reduce traffic fatalities and injury accidents in Geauga County. Sheriff’s Office personnel ask that you do your part by obeying posted speed limits, using seat belts and by not driving while impaired. They want you to remember the old saying “Buckle-up for Safety,” the life you save may be your own. 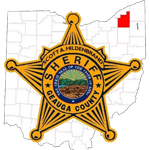 “These extra patrols help keep the citizens of Geauga County safe,” said Sheriff McClelland. The enforcement activity by the Geauga County Sheriff’s Office in fiscal year 2012 resulted in 204 arrests for impaired driving including the OVI arrest of a person with seven previous OVI convictions. Deputies also issued 707 citations for speed and 177 citations to persons failing to wear a seat belt. Deputies also arrested one fugitive felon from Florida. Enforcement activity also resulted in a felony drug arrest and several other drug arrests. 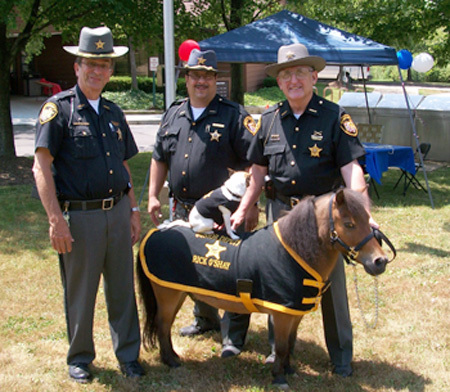 Sheriff McClelland, Deputy Fields and Deputy Corsaro enjoyed meeting everyone at Health and Safety Day. 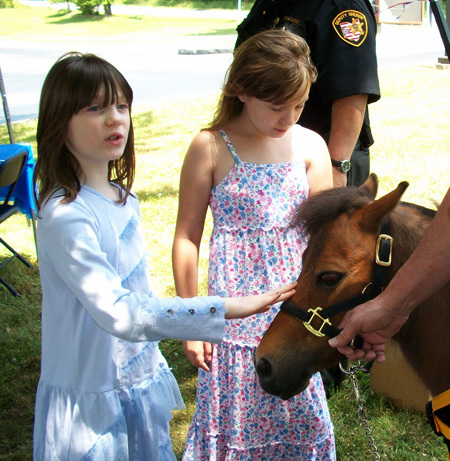 The event was held June 16th at the Bainbridge Library. Sheriff McClelland is proud to announce that our Victim Advocate Tracy Jordan was honored by the Ohio Attorney General during the Two Days in May Conference in Columbus. Tracy received the award for her initial and on going efforts working with the vicitim families from the Chardon High School incident. Tracy has been tireless in her efforts to support the families and get them assistance with not only expenses but other difficult issues during this tragic time. We all know what a great job she does but to get state recognition is truly an honor she deserves. Congratulations Deputy Jordan. The Geauga County Sheriff’s Office, is pleased to provide a free, secured collection site where residents can bring their unwanted medications for safe disposal. The items that can be dropped off are unwanted and expired prescriptions, over the counter pain relievers and medications, pet medications, vitamins, or any other medications that need safe disposal. This effort was developed after the success of “Operation Medicine Cabinet” where the Sheriff’s Office, in cooperation with the Drug Enforcement Administration, received the fourth highest amount of medications collected in Ohio in October 2011. Geauga County Sheriff, Daniel McClelland saw that there was a need to address the concerns about unused prescription and non-prescription medications in the homes of the residents of Geauga County. This concern is highlighted with seven (7) million Americans abusing controlled substances. This number is greater than the number of Americans abusing illegal drugs such as Heroin or Cocaine. Prescription pain relievers are now the new drug of choice over Marijuana and these pain killers cause more overdose deaths than Cocaine. Removal of these unwanted items from our homes will help in reducing drug abuse and accidental poisoning. By removing the unwanted medications from our homes and dropping them off at the Sheriff’s Office secured location, we can also reduce the amount of unwanted medications in our water system. For years medications were washed down the drain. Now these medications are being found in our water system, rivers and streams. Before dropping off unwanted medications residents should remove or black out their personal information. Medications should be left in their original container. The drop off site is NOT equipped to received liquids or needles or syringes. Prohibited items will be received during the drug take back program that should occur twice in 2012. These dates will be announced. 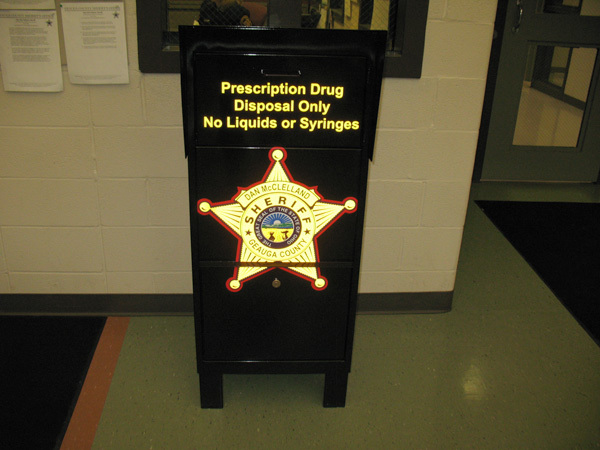 The well marked drug drop box is located in the lobby of the Geauga County Sheriff’s Office at 12450 Merritt Drive. There are no forms to fill out or information to provide, just place the unwanted medication in the box. The Sheriff’s Office is in operation 24 hours a day, seven days a week. The Sheriffs Office is proud to announce that Deputy Robin Morris has been chosen as this year's recipient of the American Legion Law Enforcement Commendation. 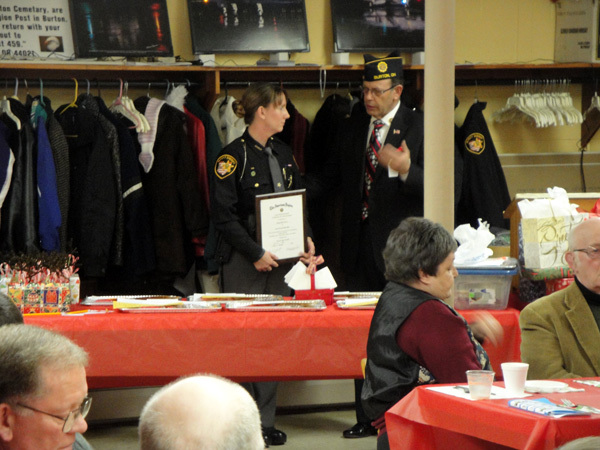 Deputy Morris along with Sheriff McClelland attended the American Legion, Post 459 Annual Christmas Dinner on December 3rd. Deputy Morris has been with the Sheriff's Office since 2006. Robin started as a uniformed first responder. Deputy Morris accepted the position of VAWA Deputy in April of 2010. Deputy Morris specializes in the investigations of violent crimes against women. Since accepting this position Deputy Morris has responded to or assisted with 169 cases of domestic violence, 4 cases of sexual assault, 4 stalking complaints and 18 protection order violations. Robin has also attended training to help her with her investigative skills. The Sheriff's Office Congratulates Deputy Morris on recieving this honor. 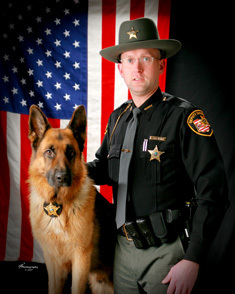 The Geauga County Sheriff's Office is saddened by the recent loss of a member of our K-9 unit. Eliot Ness was a 71/2 year old German Shepard. Eliot and his handler, Deputy Sandy Lesko, were certified through the North American Police Work Dog Association as a certified Cadaver Detection Team. 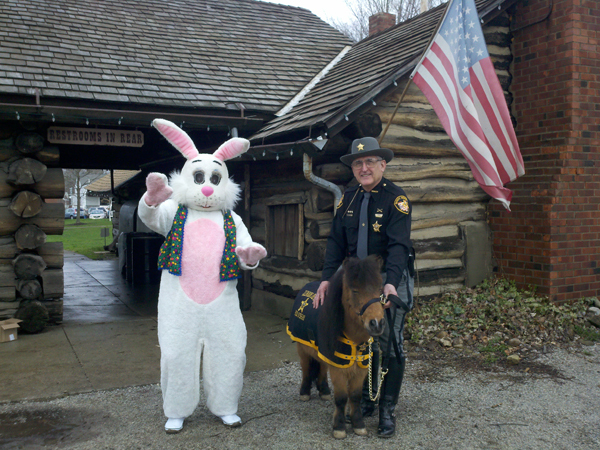 Eliot and Deputy Lesko assisted many agencies across the State of Ohio, including the F.B.I. Eliot Ness helped with mising persons and criminal cases. Eliot could search for remains on land or in water. During his years with the department Eliot located the remains of several people. Eliot was a valuable asset to the Sheriff's Office and will missed by all who had the privilage of working with him. We would like to thank all of our Facebook fans for their help in achieving the milestone of 1000 warrants cleared. The support of the public has surpassed our expectations. Keep checking Facebook! Click here to view video and read article. 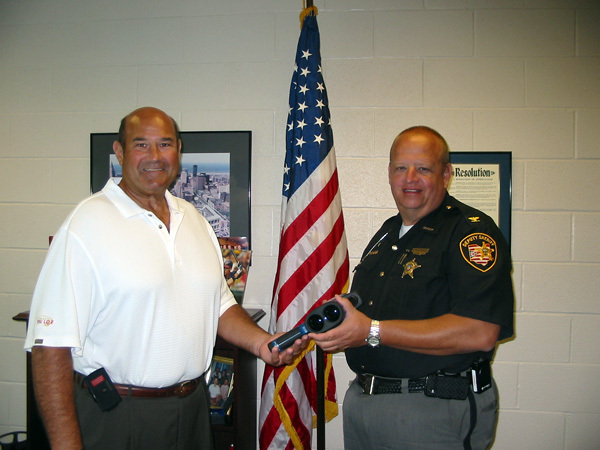 On July 26, 2011, the Geauga County Sheriff's Office was the recipient of an LTI20/20 TruSpeed laser. This device is designed to measure the true speed of a motor vehicle. The Sheriff's Office received this tool, the latest in speed measurement technology, from the Ohio Department of Public Safety. Rick Beverly, Law Enforcement Liasion, of the Govenor's Highway Safety Office presented the tool to the Sheriff's Office for our agency's participation in campaigns to reduce accidents and promote highway safety. Deputy Jim Fields and Danielle Sprow along with their auxillary partners Bayou and Rick O'Shay gave a presentation to the Boy Scouts at the Geauga County Fairgrounds. Deputy Sprow and Bayou did an excellent job over the obstacles. 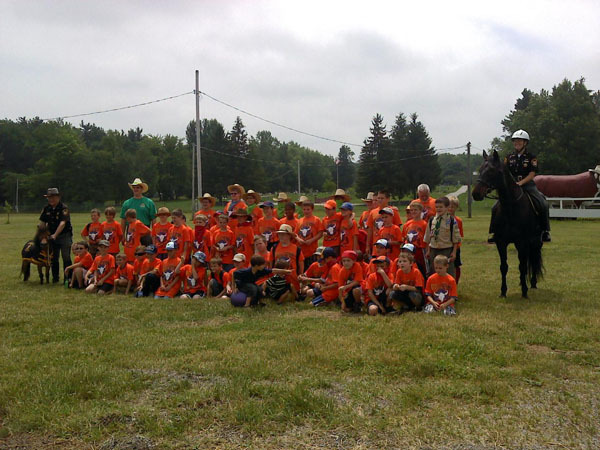 She also talked to the Boy Scouts about all the different training methods used on the horses. The scouts had numerous questions. Rick O' Shay also participated in the obstacle course. The Geauga County Sheriff's Office is pleased to announce that Sheriff Daniel C. McClelland has been selected by the D.A.R.E. Association of Ohio as the 2011 Law Enforcement Executive of the Year. This award is presented to the Law Enforcement Executive who demonstrates leasership and high moral standards for himself and others. This leader must also have shown dedication and support of D.A.R.E. by going above and beyond what is normally expected in the position. The nominee must stand out in his agencies commitment to the D.A.R.E. program. Sheriff McClelland's support of the D.A.R.E. 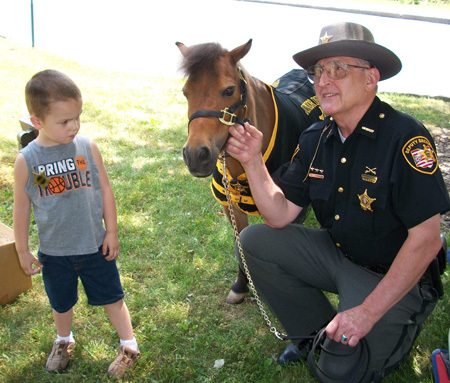 program has been unwavering during his tenure at the Geauga County Sheriff's Office. While many agencies have been forced to cut the D.A.R.E. program, Sheriff McClelland has kept the program in full operation. The D.A.R.E. program is in every public school system in Geauga County. The program has also grown into the Amish school systems with the support of Sheriff McClelland. The Sheriff felt that the children of the Amish community have the same need of alcohol, tobacco, and drug education as the children in public schools. Sheriff McClelland holds himself to the same high standards that he expects of his employees, especially the D.A.R.E. officers. While it would be easy to release the D.A.R.E. officers back into other duties to fill vacant posts, he remains committed to the D.A.R.E. program. Sheriff McClelland's support does not stop at continuing the D.A.R.E. program, but he attends every graduation in both public and Amish schools. These graduations can be during the day or evening and the Sheriff will find a way to attend. At these graduations the message is that D.A.R.E. is one of the most important programs that is offered by the Sheriff's Office. The Geauga County Sheriff Office and the Geauga County Senior Center is hosting a Senior Citizens Police Acadamy. They meet on Monday mornings from 10:00-12:00 at the Sheriffs Office. The 17 persons attending this class will be learning about the different functions of the Sheriffs Office. The program has been well recieved for several years and Sheriff McClelland hopes to keep offering them. If you are interested in attending the next available Senior Police Acadamy contact the Geauga County Senior Center. 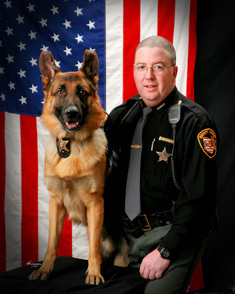 The Geauga County Sheriff has suffered another loss of one of our beloved K-9's. Phantom had to be put to sleep on January 18th. Phantom died from the same hereditary condition that Ben suffered from. Phantom's condition deteriorated very quickly over the past couple weeks. Deputy Jim Dhayer was Phantoms partner. In 2009 Phantom received the award for Top Track and Apprehension from the German Shepherd Club. Phantom will be greatly missed by his partner Deputy Dhayer and his many co-workers at the Sheriff's Office. he was a loyal partner and great dog. The Western Reserve Mentor OH Chapter, which consists of numerous Harley Davidson owners, has generously donated $1000.00 to the Geauga County D.A.R.E. Program. Robert Oravecz, director, stated that the organization had a very successful year, due to their members volunteering their time and efforts at various events. The Sheriff's Office is very grateful to the Western Reserve Mentor OH Chapter 3818 for choosing our D.A.R.E. Program as a recipient of their generosity. 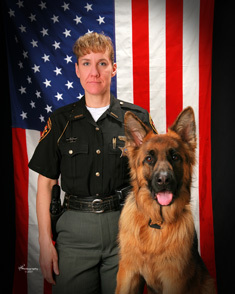 On Friday November 12, 2010 the Geauga County Sheriff's Office lost a valued member of the K-9 Unit. Ben was born in 2004 and has been with Sheriff's Office since he was a puppy. Ben was the loyal partner of Deputy Brian Sebor. Deputy Sebor and Ben were certified in narcotics detection, aggression, and tracking. During Ben's career he is credited with numerous arrests and narcotic seizures. Ben's tracking ability was best demonstrated when he tracked burglars from a house in Hambden, about 2 miles through the woods to another house where deputies made the arrest. Ben was also utilized to seize a large quantity of cash that was involved in a drug transaction. Ben will be missed by the many Sheriff's Office employees that had the privilege to work with such an amazing animal. Ben could often be found walking about the office visiting everyone in the department. It was an honor to work with Ben.